When disaster strikes, ServiceMaster Restore is here to help. Our technicians and project managers are standing by 24/7/365, including weekends and holidays. We pride ourselves on responding to disasters twice as fast as the industry standard (average response: 1-2 hours). 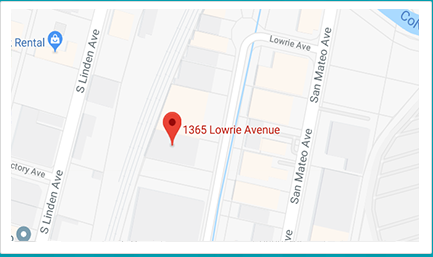 Now operating from 2 convenient locations in the Peninsula, we are proud to serve our clients with the same quality and service you’ve come to expect from ServiceMaster Restore. Our territory coverage can include anywhere from the Golden Gate Bridge all the way down to Hollister, CA. We focus on working efficiently and effectively to minimize impacts made to your family and business, returning clients their day-to-day lives as soon as possible. Located in the Greater Peninsula region of the Bay Area, we are ready to respond at a moments notice. 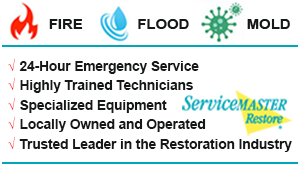 From small water intrusions to large water damage, mold, fire damage, and trauma losses, ServiceMaster’s state-of-the art MSM technology and experienced technicians deliver a flawless, fully inventoried pack-out process; with no liability exposure. Having industry developed resources; our team can handle both small capacity as well as large capacity losses. We reduce paper waste and maximize efficiency, with electronic moisture readings that we upload to our servers throughout the migration process. Having clear quality control standards in place, our project managers and technicians focus on performing the jobs with the utmost integrity. Our importance to meeting client expectations continues with the post-job follow up process. We value the feedback of our clients and look to constantly improve ourselves as well as our business. Customer feedback is encouraged and provided through our Facebook, Twitter and Yelp pages. Having a strong experience background in the restoration industry, we at ServiceMaster Disaster Restoration and Recovery look forward to continuing our work and meeting the needs of our clients.